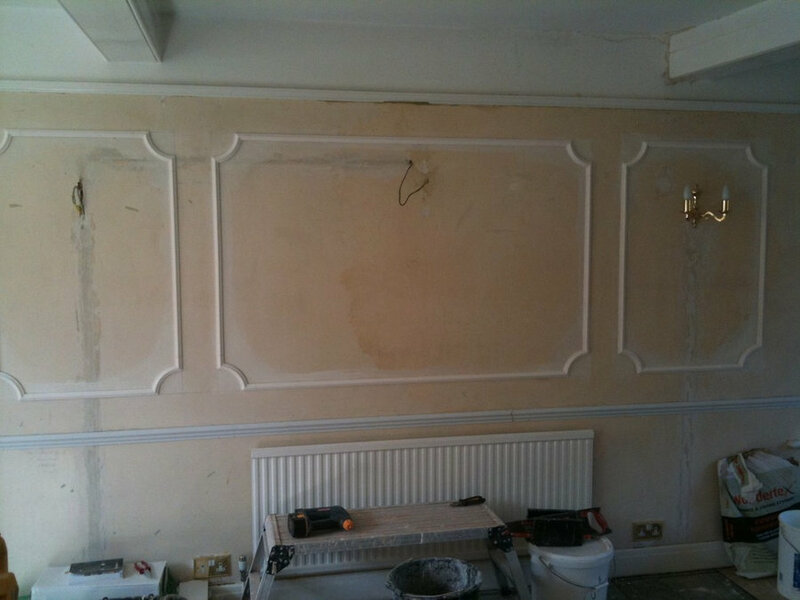 here we go, first panel edges are going on, mare sure they are straight! 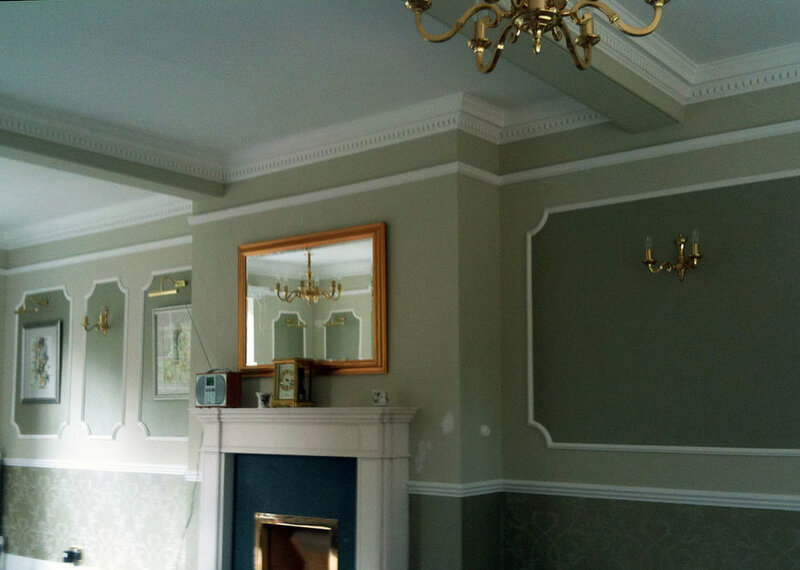 Phew, the lights are in the middle.. 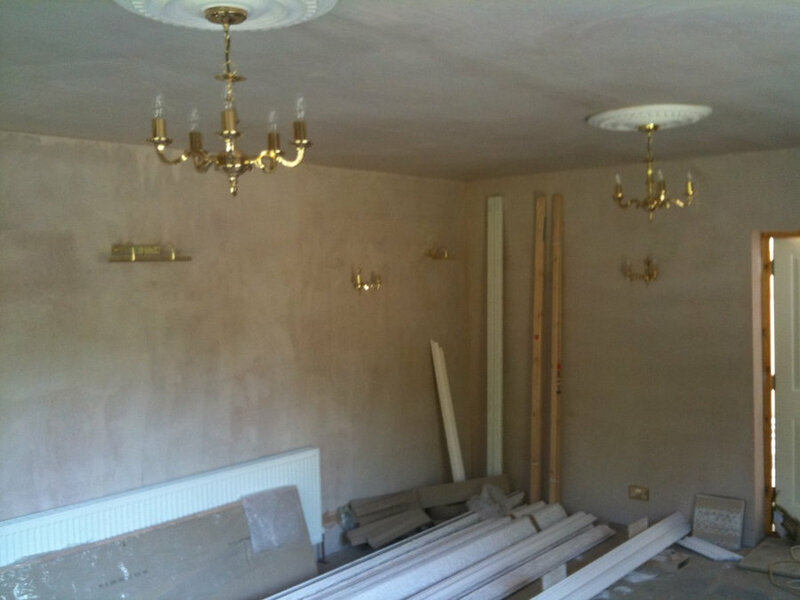 Working our way around the room, how elegant will this be? 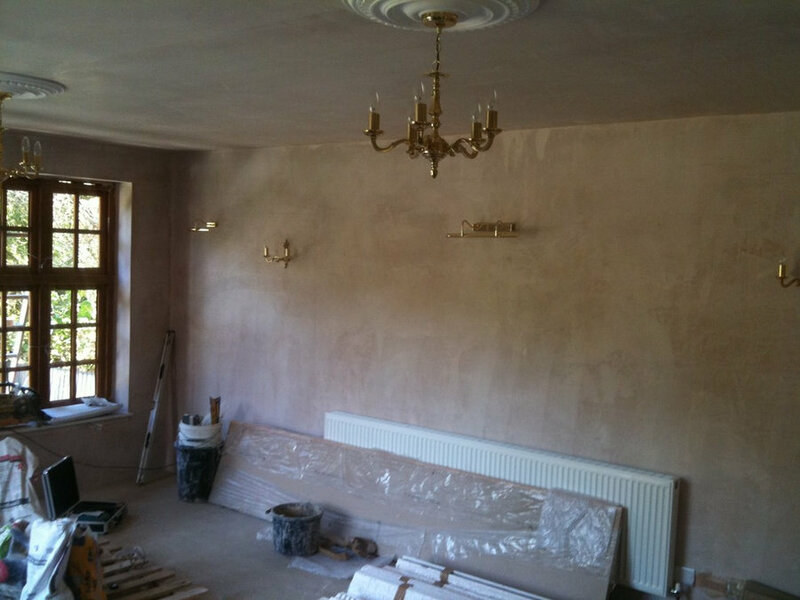 Looking good, not the ceiling here, nothing special yet..
ta da! 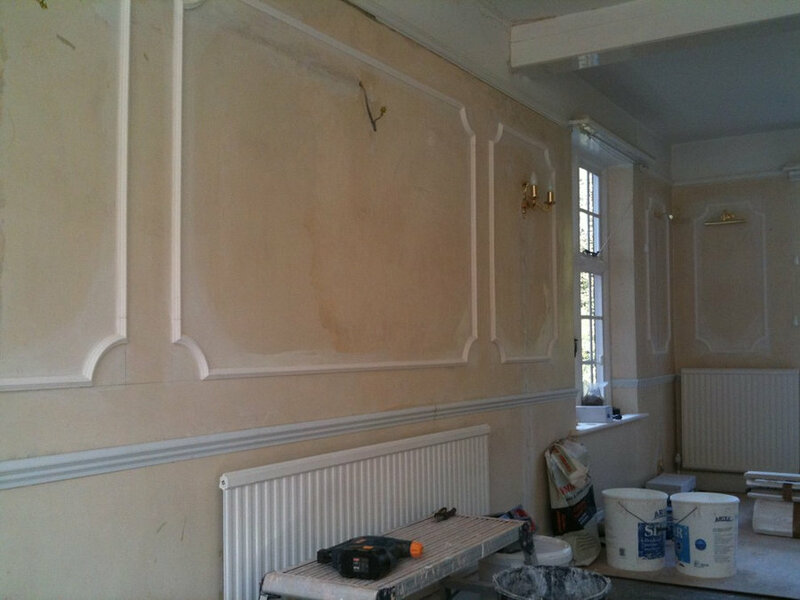 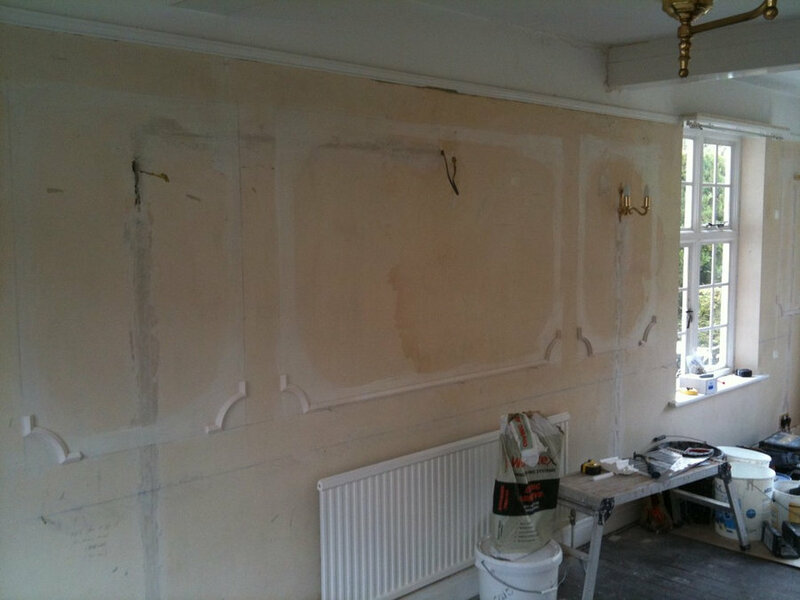 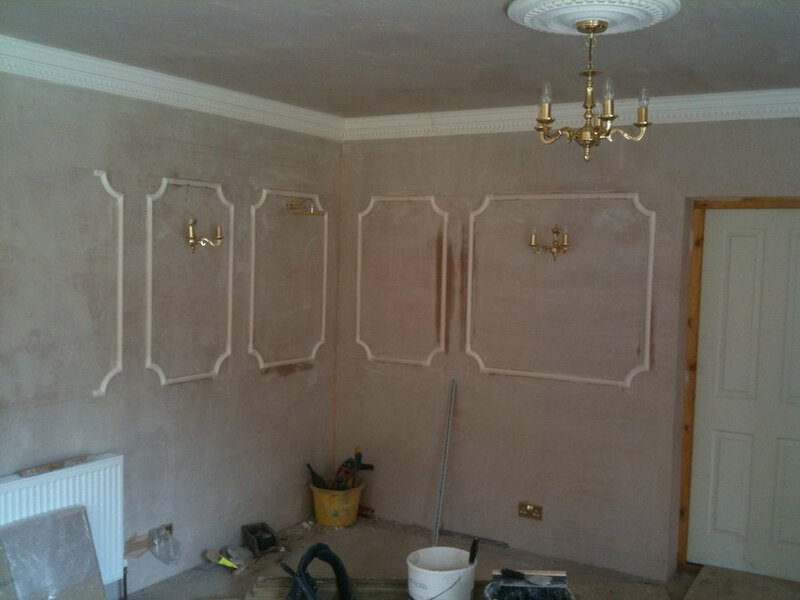 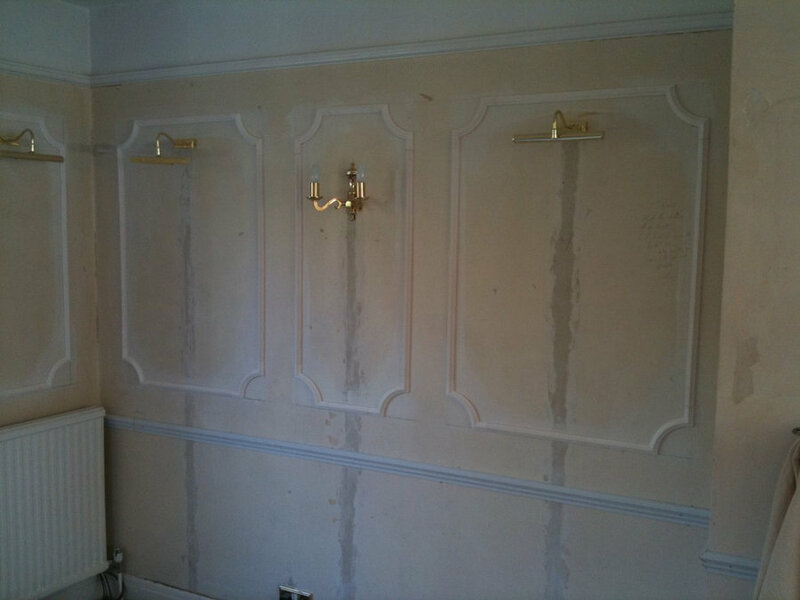 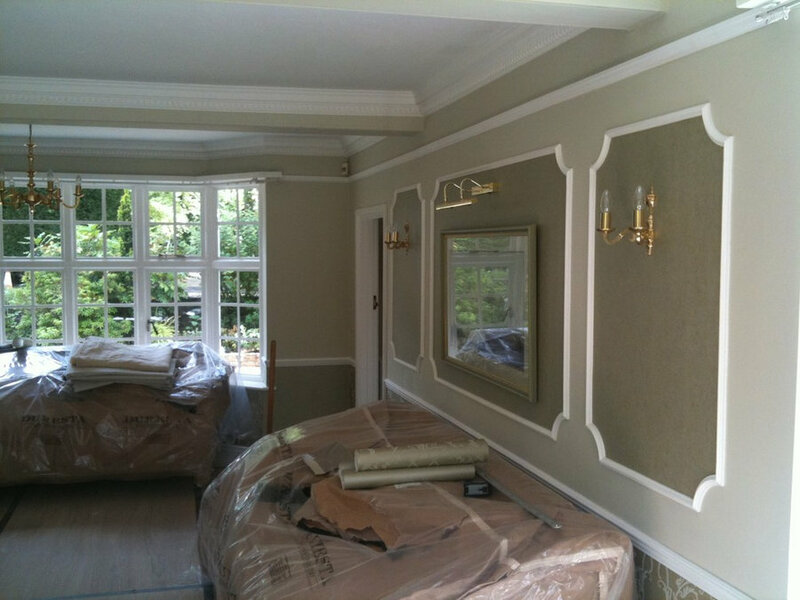 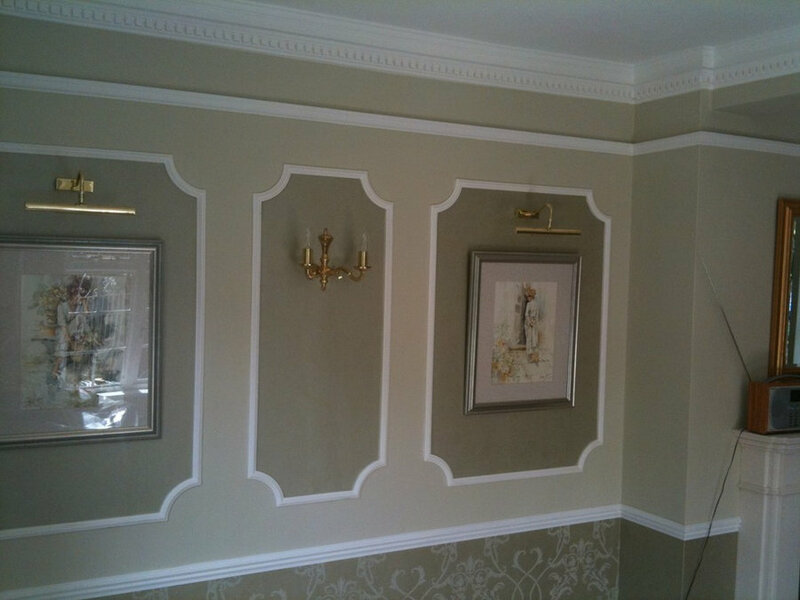 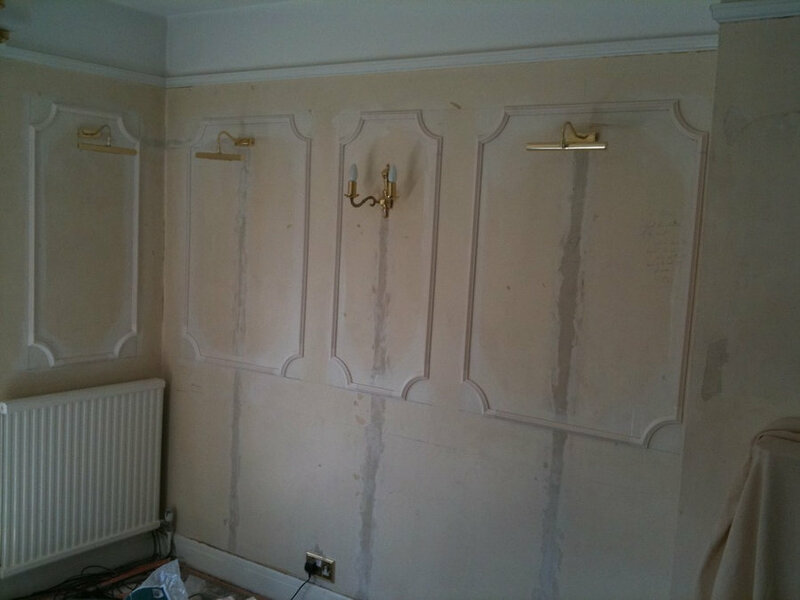 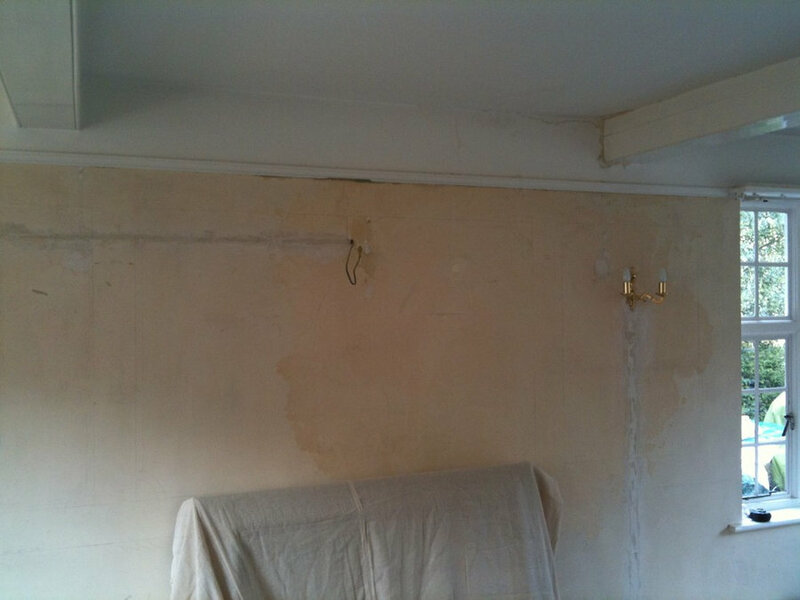 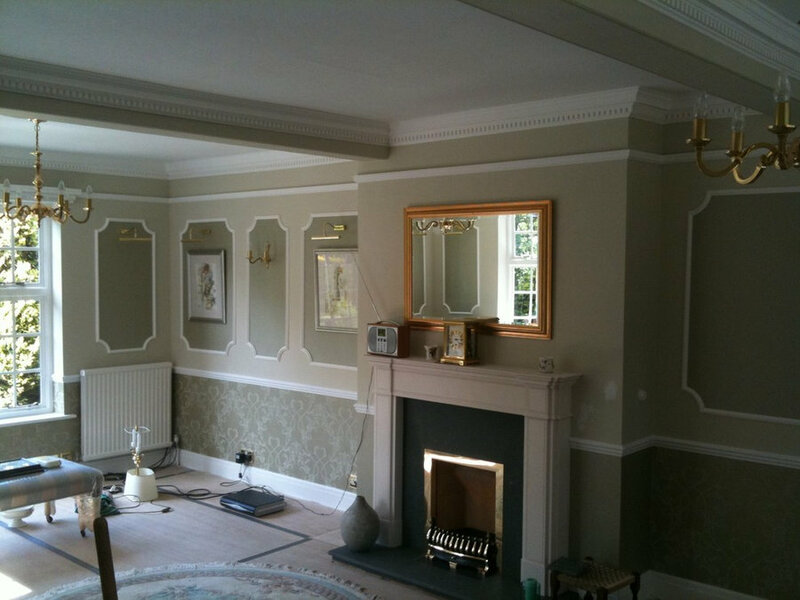 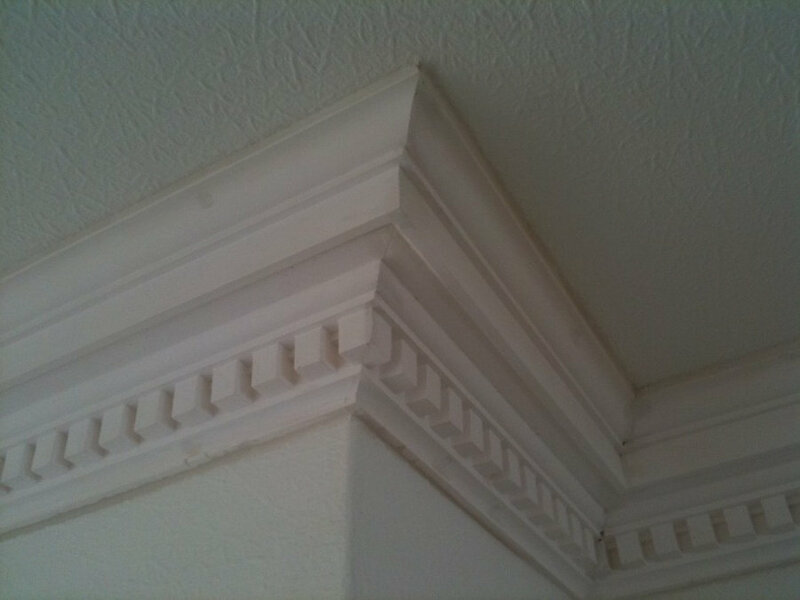 see it isn't just plastering at Four Plastering, we do panelling, mouldings and cornice too. 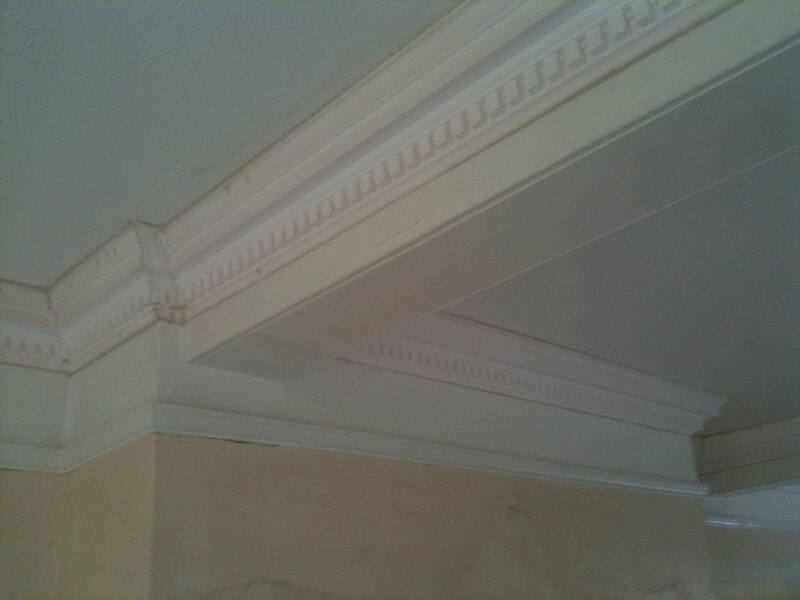 Look at the detail, I feel like i am looking up at a ceiling from Buckingham Palace! 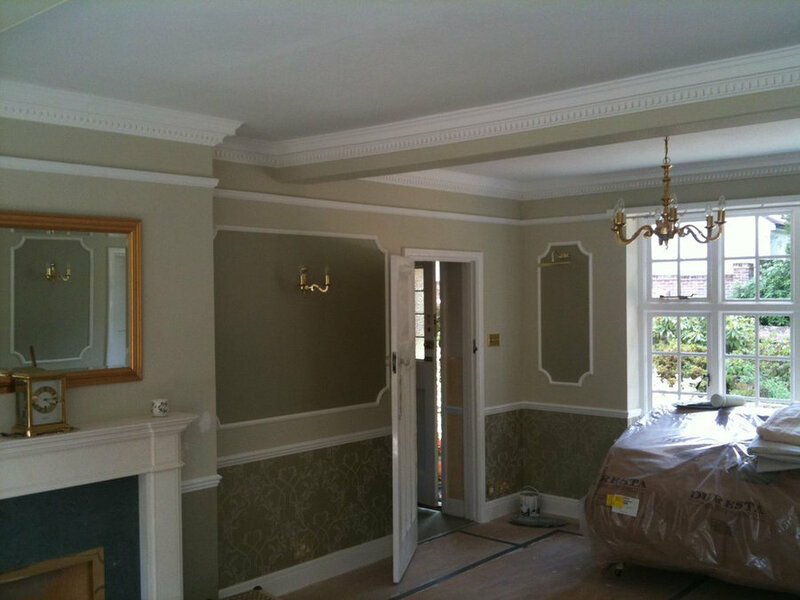 This is the end, well the end of my visit, I expect the client unwrapped the sofa's too..